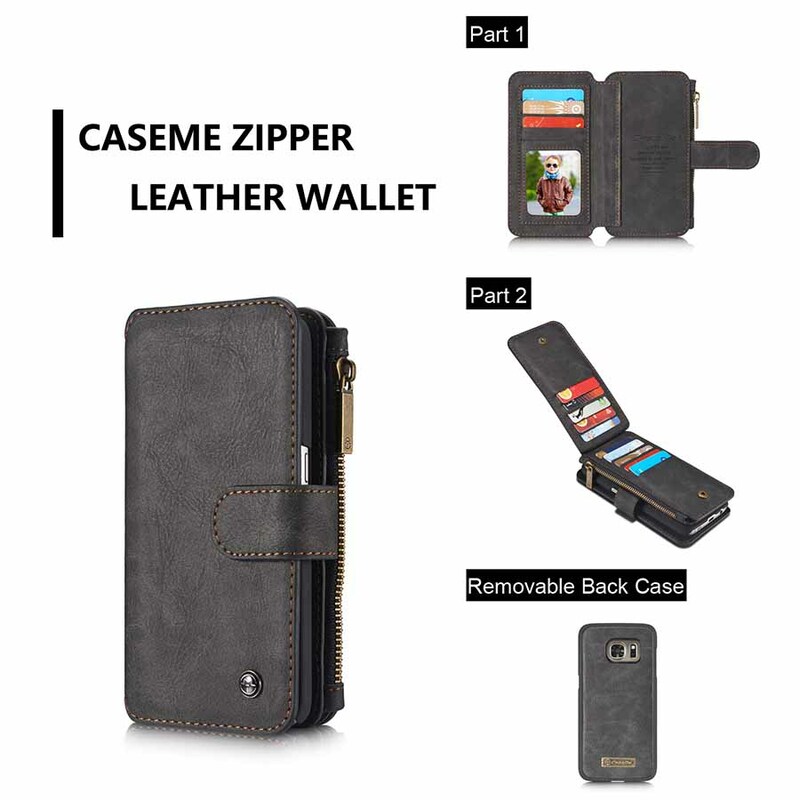 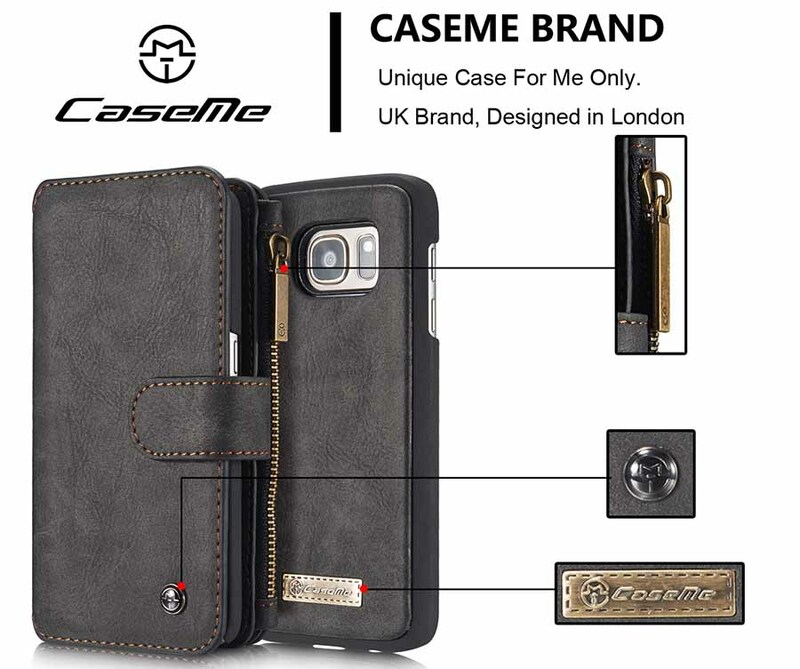 Free Shipping, Buy Genuine Original CaseMe Samsung Galaxy S7 Detachable 2 in 1 Multi-functional Wallet Case at Casemecase.com. 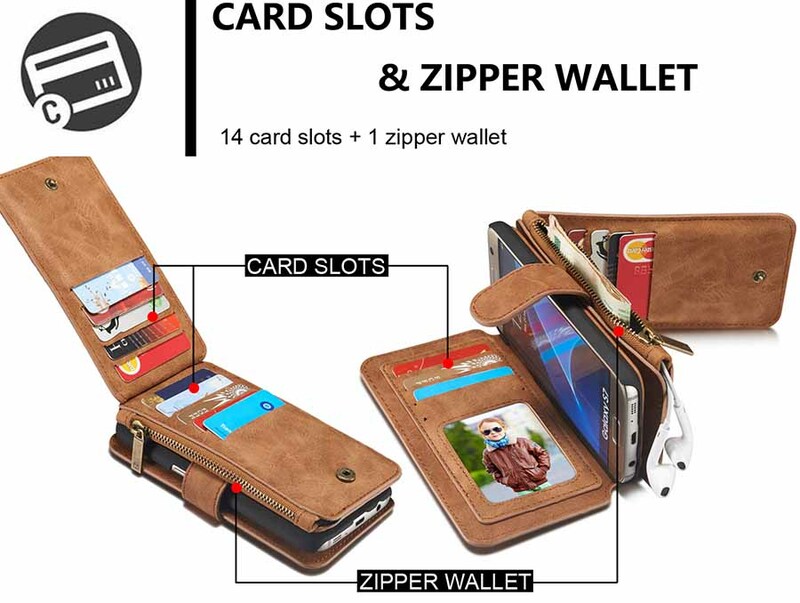 14 Card Slots + 1 Zipper Coin Pouch. 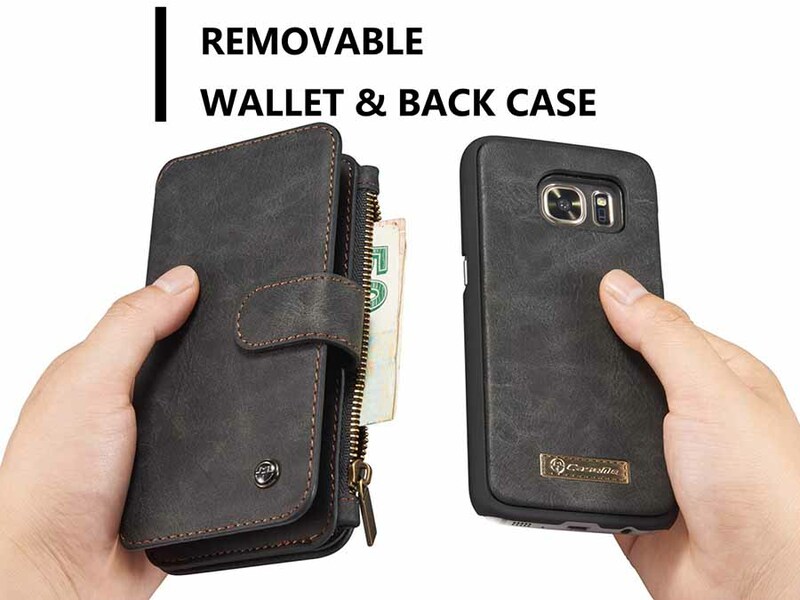 This is a lifesaver for many that struggle with keeping up with essentials like keys, wallet, phone, etc. 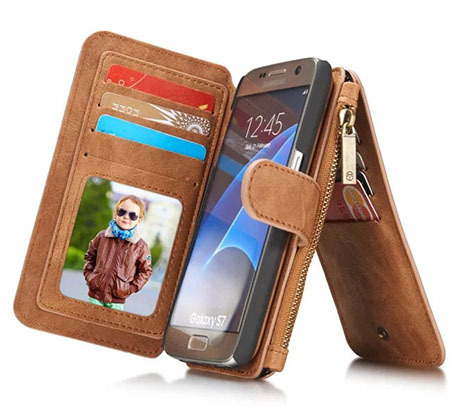 CaseMe 007 Samsung Galaxy S7 Wallet Case is made of Retro Flannelette leather, high quality and durability. 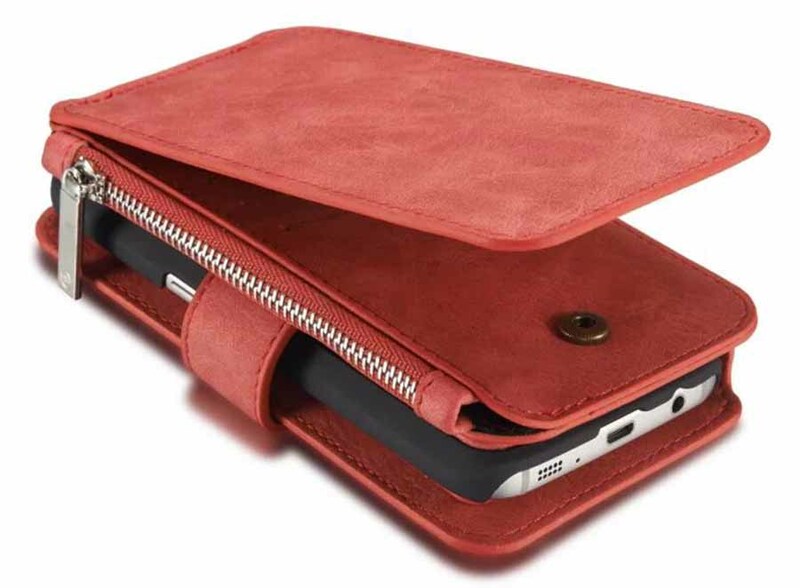 Detachable 2-in-1 design, leather cover and inner leather coated PC hard case absorb together by strong magnetism. 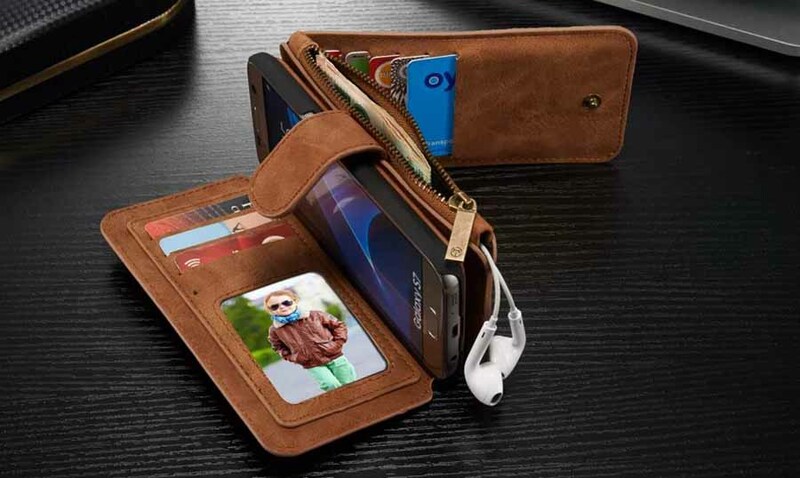 The highlight of this case is its multiple slots wallet design, which can bring and manage your credit cards, bus cards and ID cards conveniently. 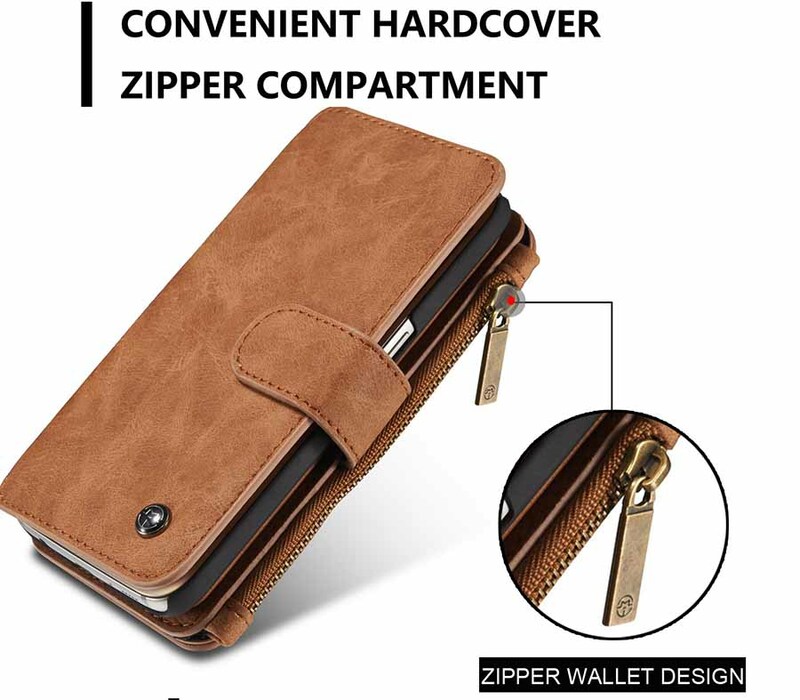 Zipper closure cash compartment, carry some money or your earphone with phone securely. 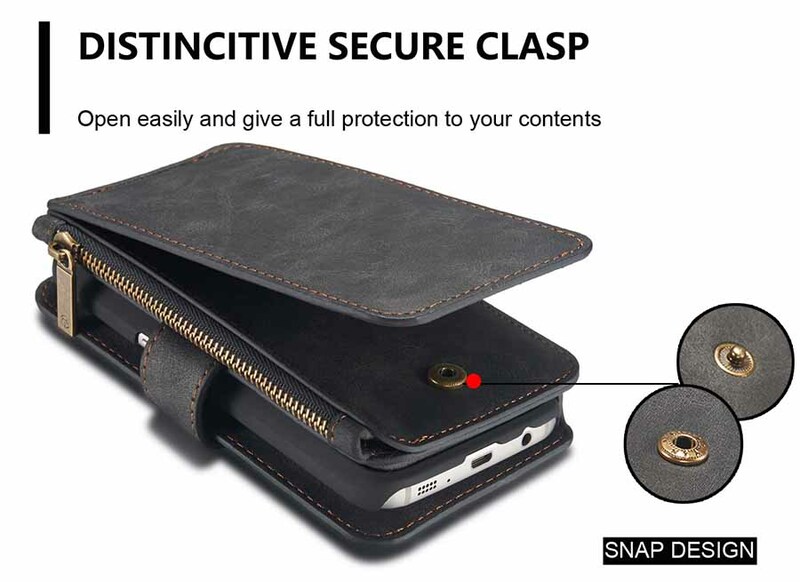 Magnetic closure and snap-fastener add the secure level. 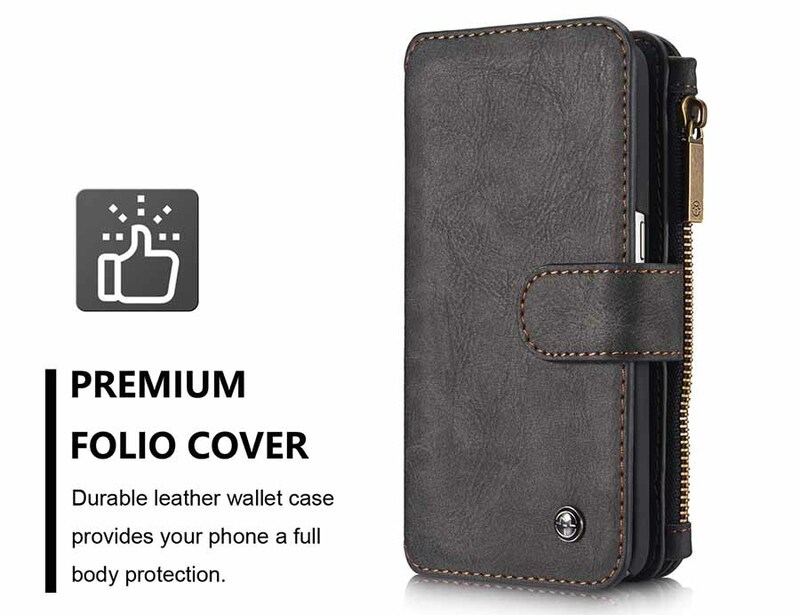 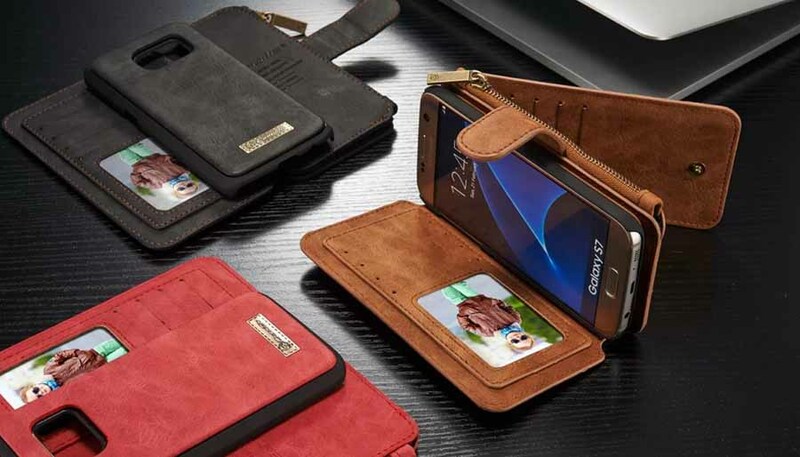 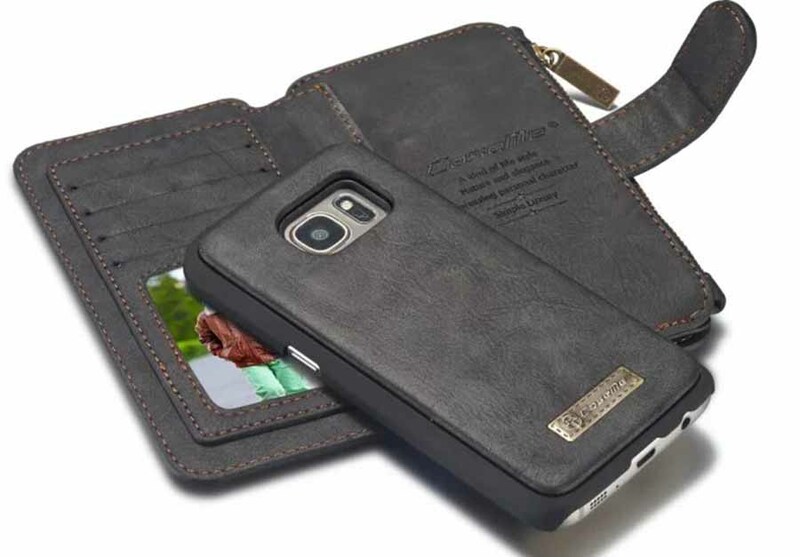 Guard your phone from daily damage and carry your belongings in style. 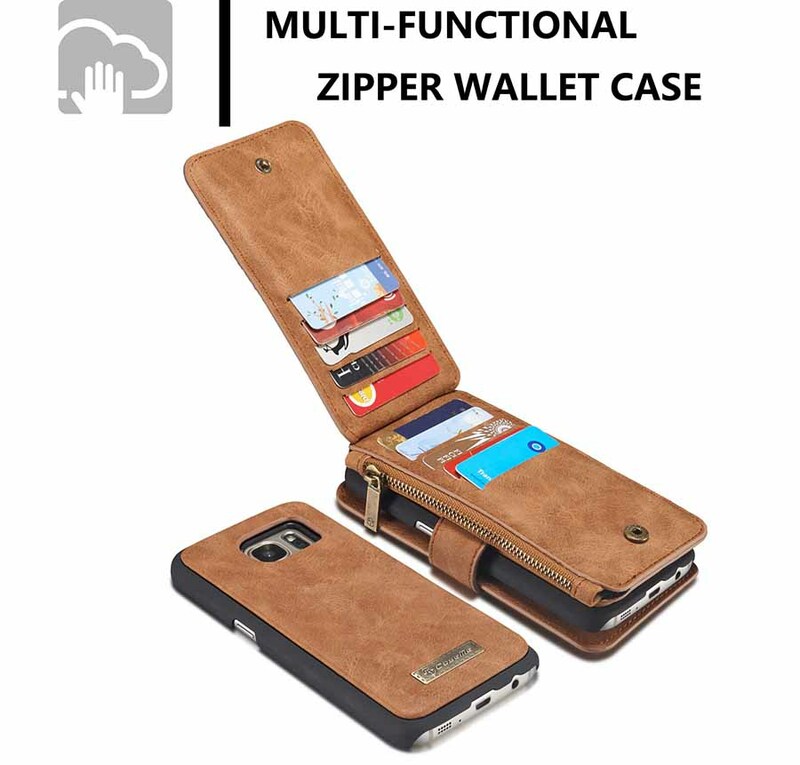 Perfect for those who want to keep everything conveniently organized in one place. 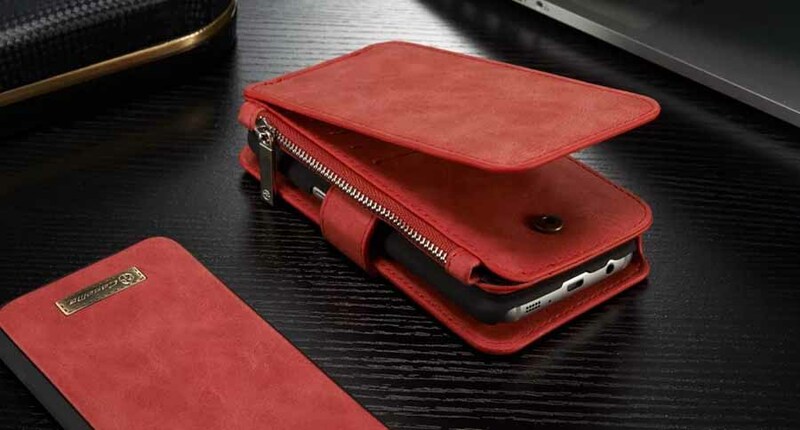 It’s the only thing you need to take with you when you go out – only one item to keep your eyes on. 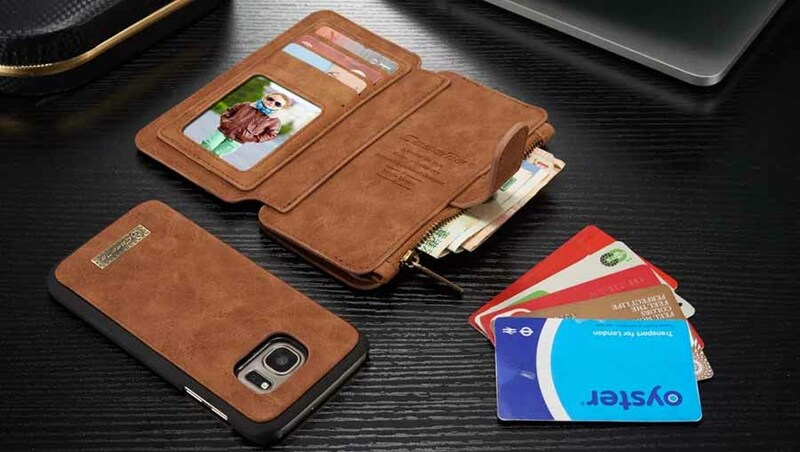 All your items in one place, just One for All. 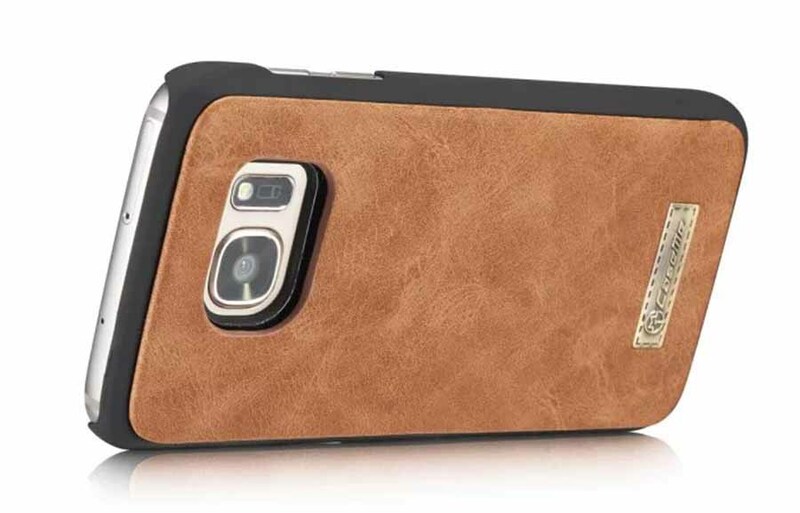 I love that this case with the magnet car mount- it fits securely on the air vent. 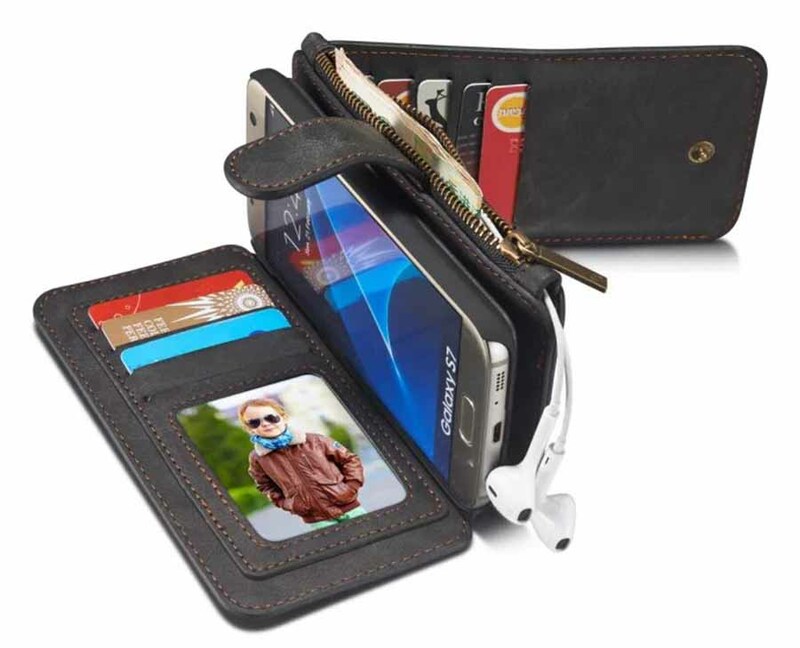 I like that the phone fits securely in the “wallet” but van easily be mounted on the car magnet. 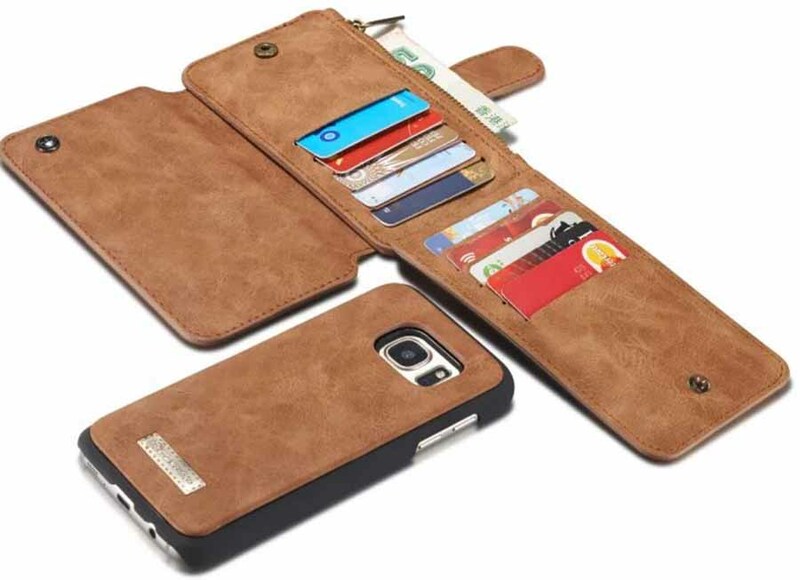 The case is well made and holds all my cards, money and a few receipts. 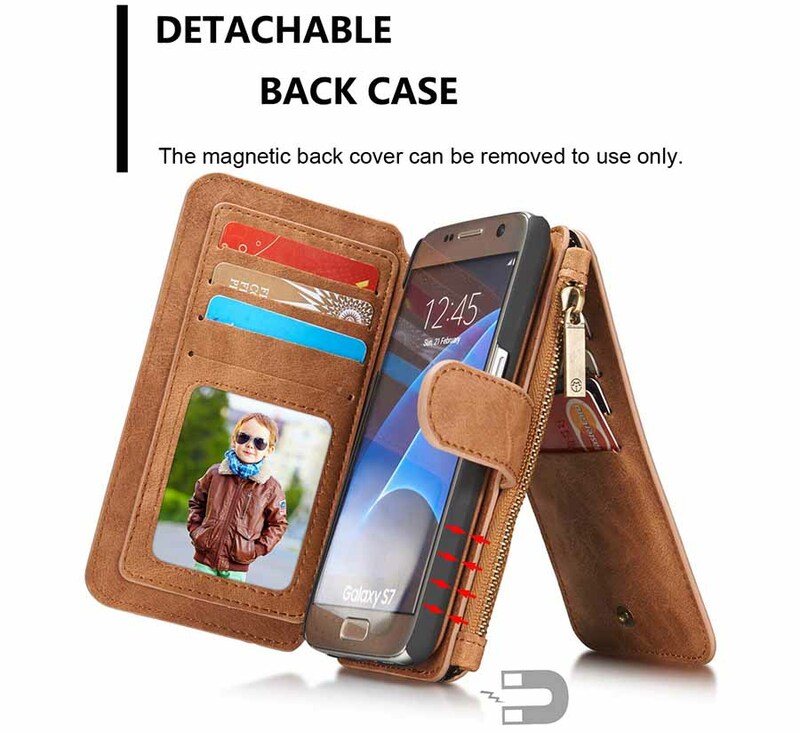 Case arrived very quickly. 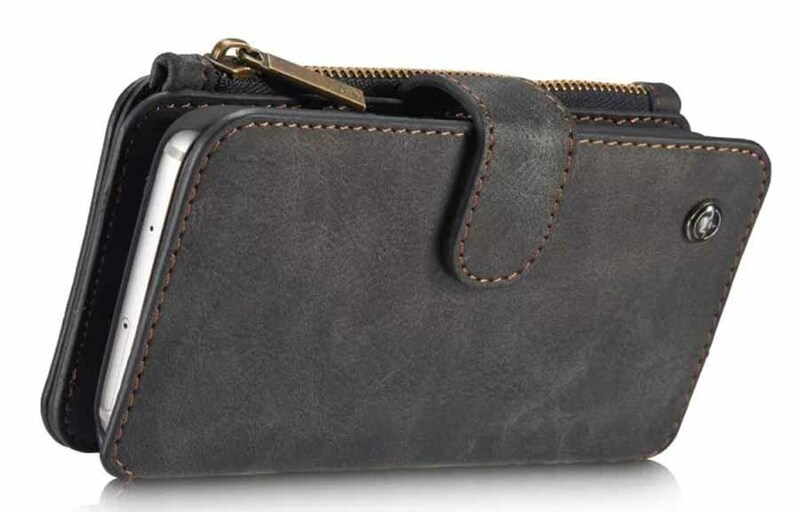 I love that there is a separate case for the phone I can use when I’m home and not have to use the wallet.